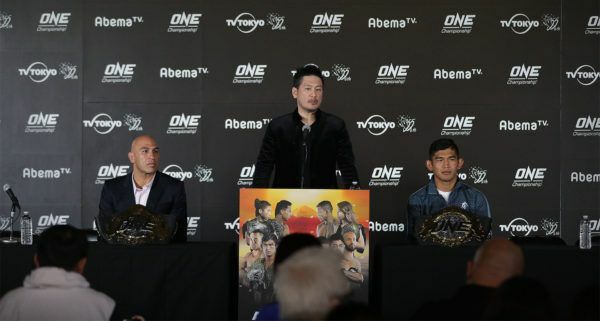 It was a historic night for ONE Championship in the first ever blockbuster from Japan with four World Title bouts headlining a stacked card at ONE: A NEW ERA on Sunday, 31 March. 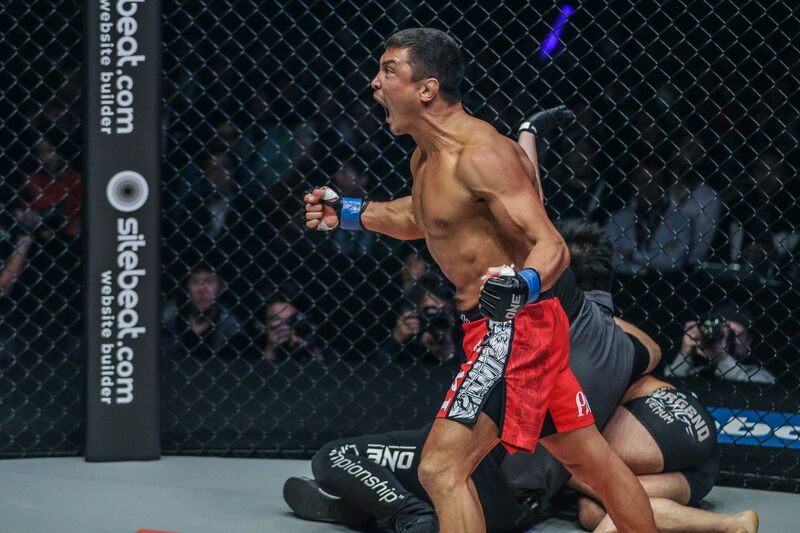 The main event saw Shinya “Tobikan Judan” Aoki reclaim the ONE Lightweight World Title with a dominant first-round submission against Eduard “Landslide” Folayang. The win not only allowed the Japanese superstar to take back the gold, but he also avenged a prior loss to Folayang from November 2016. 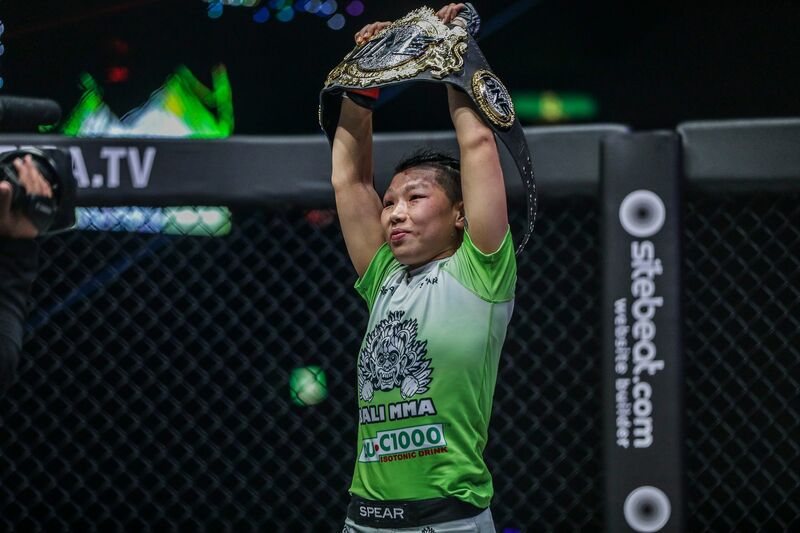 In the co-main event, “The Panda” Xiong Jing Nan defended her turf, as the ONE Women’s Strawweight World Champion handed ONE Women’s Atomweight World Champion “Unstoppable” Angela Lee the first loss of her career with a fifth-round TKO in an absolutely epic battle over 20-plus minutes. The fans at the Ryogoku Kokugikan in Tokyo, Japan were treated to a night filled with action including several jaw-dropping knockouts and highlight-reel submissions. Now, with another blockbuster event in the books, we take a look ahead at the potential match-ups awaiting some of the night’s biggest winners from ONE: A NEW ERA. Nearly three years after falling to Folayang in the bout that cost him the ONE Lightweight World Title, Aoki avenged his loss in a major way. He put the Filipino hero to sleep with an arm-triangle choke to notch his fourth first-round win in a row and become the division’s king once again. Now, “Tobikan Judan” will await the winner of the ongoing ONE Lightweight World Grand Prix, which will be determined later this year. However, the Japanese martial arts icon likes to remain active and could push for another bout in the meantime. Aoki threw a curveball at the post-event press conference, stating his desire to face Christian “The Warrior” Lee. Perhaps a meeting between the two at a catch weight or a grappling super-bout could be on the horizon. Xiong, the inaugural ONE Women’s Strawweight World Champion, had to dig deep to survive a submission threat in the fourth round before storming back in the fifth to hand Lee her first career loss. 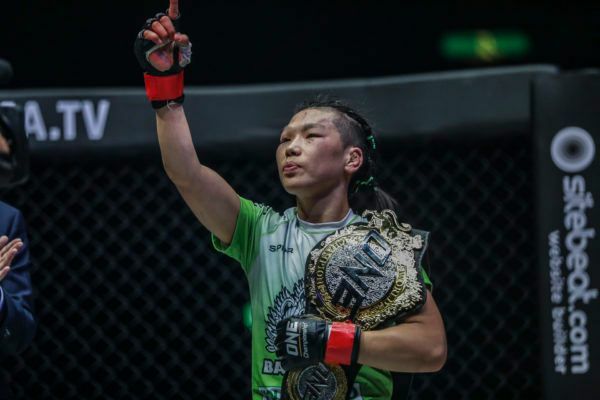 With three World Title defenses now under her belt, the Chinese dynamo awaits the next challenger to her crown and the perfect opponent could be Japanese strawweight Ayaka Miura. Miura has won her last four bouts, including her promotional debut where she submitted former World Title challenger Laura Balin just 73 seconds into the contest. Xiong was forced to go five hard rounds against Balin to get the job done, so facing off with Miura could be exactly the kind of challenge “The Panda” needs following her latest World Title defense. Two-division ONE World Champion Aung La “The Burmese Python” N Sang promised a more dominant performance against Ken Hasegawa in their rematch, and he delivered with a devastating second-round TKO to defend his middleweight belt on Sunday night. Afterwards, the Myanmar sports icon celebrated his victory, but soon came face-to-face with his next challenger. Reigning ONE Heavyweight World Champion Brandon “The Truth” Vera respectfully asked if he could face Aung La N Sang for his ONE Light Heavyweight World Title in Japan in October. 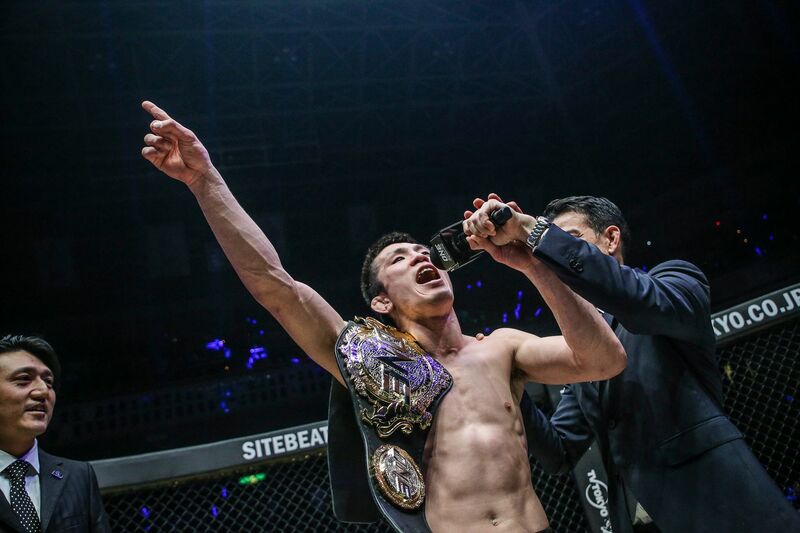 Aung La N Sang graciously accepted what will be the biggest challenge of his career, and ONE Chairman and CEO Chatri Sityodtong gave his blessing to the match-up in the cage. With these two massive knockout artists sharing the cage, fans should not blink when this epic war goes down later this year. Timofey Nastyukhin gave promotional newcomer Eddie “The Underground King” Alvarez a rude welcome on Sunday night as he knocked out the American legend late in the opening round. Now, the Russian knockout artist moves into the semi-finals of the ONE Lightweight World Grand Prix where he awaits a battle with Hawaiian ground specialist Lowen Tynanes. Tynanes made short work of Honorio Banario to move into the semi-finals in January, and he will face Nastyukhin with the winner then punching their ticket into the tournament finals later this year. It could be said that Nastyukhin and Tynanes were the most powerful athletes in the bracket from the start, so now, when these two juggernauts collide, they should produce fireworks. At ONE: A NEW ERA, one of the brackets of the ONE Flyweight World Grand Prix was set, as Kairat “The Kazakh” Akhmetov and Danny “The King” Kingad both secured unanimous decision victories in the opening round. Akhmetov defeated Reece “Lightning” McLaren while Kingad turned back the challenge of Pancrase Flyweight World Champion Senzo Ikeda. The two victors will clash later this year for a spot in the ONE Flyweight World Grand Prix finals. Akhmetov is a former ONE Flyweight World Champion, so he knows what it’s like to have that gold around his waist. He faces an incredibly tough challenge from “The King,” a former World Title challenger who is on a five-bout win streak. Making this bout even more interesting is the fact that both athletes have wanted to face each other in the past. 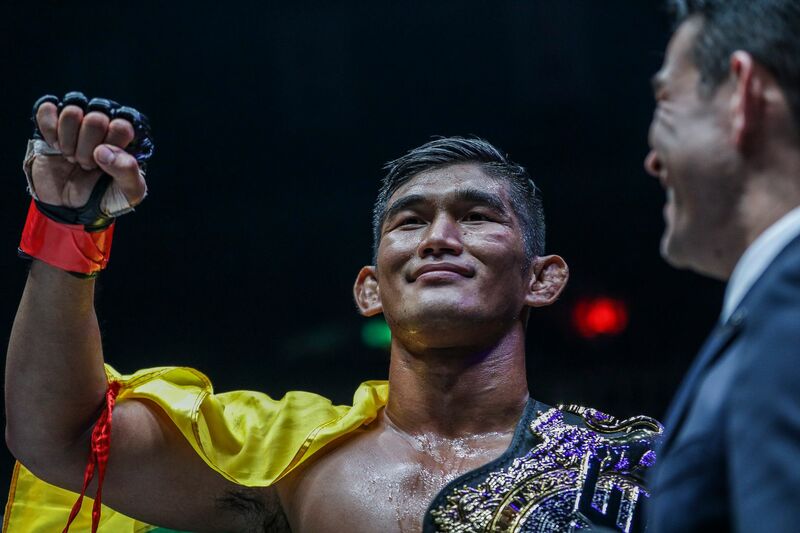 “The Kazakh” wanted another crack at a Team Lakay representative after falling to Geje Eustaquio in January 2018, whereas Kingad wanted a shot at Akhmetov so the former titleholder could prove his worthiness of a trilogy bout with the Filipino’s teammate. When these two flyweight warriors meet, there will be some added emotion, which will make for a marquee semi-final. On a night of world-class martial arts action, these moments from Japan will live long in the memory. "The Panda" reveals how she persevered through a difficult situation to win a career-defining match. Following his World Title win in Japan, "Tobikan Judan" expressed interest in a challenge against a teammate. World Champions will collide when the ONE cage returns to Japan for ONE: GREATNESS UNLEASHED in October. Home > Features > What Could Be Next For The Big Winners Of ONE: A NEW ERA?